A new year and new Autism Tools to explore! In 2017, we partnered with Autism Nova Scotia to launch 3 different Autism Tools kits: Sensory Tools, Visual Tools, and Fidget Tools. This year we are introducing you to our newest kit: Communication Tools. We collaborated with Autism Nova Scotia to create a kit that offers samples of communication tools for you to explore. This kit is a great way to discover which tools work best for you. What is included in the Communication Tools kit? In our efforts to communicate, we often rely on methods other than speech to get our point across. We use hand gestures, facial expressions, written notes, and pictures—all forms of augmentative and alternative communication. The samples and information provided in this kit are helpful with supporting communication and daily activities or tasks. Any Halifax Public Libraries cardholder can borrow an Autism Tools kit for a regular loan period. You can place a hold in our online catalogue or contact your local branch to request a kit. 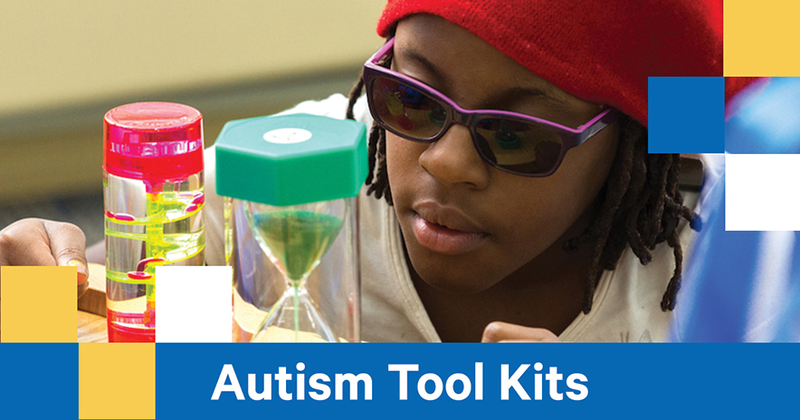 Click here to learn more about all our Autism Tool kits.